St. Patrick’s Day, which should be a cheerful nod to the proud Irish culture, has developed an unfortunate tendency to devolve into a miasma of misconceptions, watery beer and green glitter sunglasses in the shape of shamrocks. And while there’s nothing at all wrong with partying on St. Patrick’s Day—even if you’re only Irish once a year—it’s also good form to remember what and why you’re celebrating. Over the next five pages, we take a look at some widespread misconceptions about St. Patrick, talk with Irish musicians, dancers and linguists and also examine the rich and beautiful symbolism that has derived from Celtic culture. While every holiday eventually becomes estranged from the traditions that inspired it, no day on the calendar is beset by more cultural malapropisms than St. Patrick’s Day. For example, Maewyn Succat (St. Patrick’s birth name) didn’t actually chase the snakes out of Ireland, he (probably) didn’t use clovers to teach the trinity and he defi nitely didn’t drink “black and tans.” In fact, he wasn’t even born in Ireland. Surprised? Read on. The idea that St. Patrick drove the snakes out of Ireland is a popular one, but it has no basis in fact. It is true that Ireland is snakeless, but this is because the Emerald Isle has never been home to snakes, not because anyone shooed them away. St. Patrick—who was born in Britain around AD 390—is actually honored for the work he did spreading Christianity among the Irish. (He was taken to Ireland as a prisoner and forced to work as a shepherd, which brought on a religious awakening.) Scholars believe that because the snake is used to represent evil in many biblical writings, St. Patrick’s work battling the apocryphal serpent of paganism gave rise to this myth. 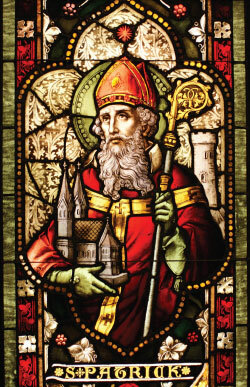 Another legend of St. Patrick is that he used three-leaved shamrocks to teach peasants about the Holy Trinity. Historians believe monks probably spread this idea to promote Patrick’s work after he died. Although St. Patrick’s Day is a celebration of Irish culture and pride, the American version is a lot brassier and boozier than the Irish one. For centuries the Irish observed a respectful commemoration every March 17—the day St. Patrick is believed to have died. But in the middle 1700s the event was boisterously co-opted by Irish expats living in Boston. Over the following decades parades and pipers jumped on the bandwagon. By the late 19th century, St. Patrick’s Day was not only an occasion to celebrate Irish-ness, but also a cheerful way for the American Irish to put their substantial political clout on display. Because the American version of St. Patrick’s Day developed in semi-isolation from the root culture, there are some disconnects between things Americans do and the way those things play in Ireland. Abbreviations of the day’s name, like St. Paddy’s Day and St. Patty’s Day, can be offensive to people of Irish descent. The first term, Paddy, has derogatory overtones (think “paddy wagon”) and the second, St. Patty’s, is thought of as belittling because Patty is a female name. Imagine calling Jesus’ birthday “Chrissy’s Mass” and that’s the idea. Anyway, Patrick is an ordained saint, no one will go amiss using the full, formal name. For many folks St. Patrick’s Day is just a green-tinted excuse to enjoy a pint… or seven. And while having a few beverages with friends is definitely a good time, a pair of drinks popularly linked to Irish culture can stir up uneasy feelings: The Irish Car Bomb and the Black and Tan. Darrah Carr had been taking Irish dance lessons since she was a six-year-old enrolled at the Tim O’Hare School of Irish Dance in Ohio. But after years of competing both in the United States and in Ireland, she was exhausted by the time she began her undergraduate studies at Wesleyan University. The school system’s loss was the dance world’s gain, as Carr would go on to found a repertory company that is now in its 16th year. Carr’s love of Irish dance is pure but she also performs her own take on the old forms. Her modern dance studies at Wesleyan still inform her choreography, and in defiance of traditional Irish norms she and her dancers sometimes use their arms and torsos to extend their range of expression. Irish dance is based in tradition, while modern dance celebrates innovation. Carr believes the two can be fused. She encounters critics, of course. Modern dance lovers say she’s too Irish and Irish traditionalists think she’s too modern. But the 12 members of Darrah Carr Dance seek to celebrate both genres with every performance. 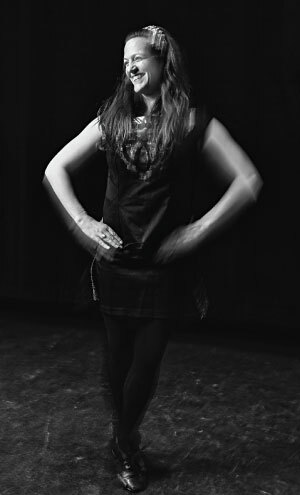 Carr describes her troupe’s style as ModERIN: A combination of the words modern and ERIN (as in Éirinn go Brách, which means “Ireland forever”). In a typical program, the company will perform one or two pure Irish step dances to prove their training and love of the style. Once the audience’s trust is gained, Carr said her troupe shows how the traditional form can be experimented with by incorporating modern choreography. The accompanying music also ranges from Irish to French to Scottish to bluegrass; a recent piece was even based on a poem called “They Danced” by Gearoid Mac Lochlainn. Towards the back of Long Ireland Beer Company’s Riverhead brewery, past the stainless steel brew kettles fi lled with hops and wort and the pallets stacked high with six-packs, you’ll fi nd the Long Ireland Pipes and Drums band practicing. A burly, bearded man stands at the head of the group. His thunderous voice calls the band to attention. The bass drum booms. The snare drums snap. The pipes start to play. The sound of centuries-old Celtic music echoes off the tanks of stout. Long Ireland Pipes and Drums is a relatively new East End pipes band. Founded in 2012, the band has about 20 members and plays parades and other gigs around the Island. They also teach lessons for anyone who wants to learn, but joining the band is no fl ip decision. It takes a lot of time and dedication to be ready to play. Marinace said many people don’t realize that a lot of St. Patrick’s Day traditions were born of Scottish culture, not Irish. Or are a blend of the two Celtic heritages. 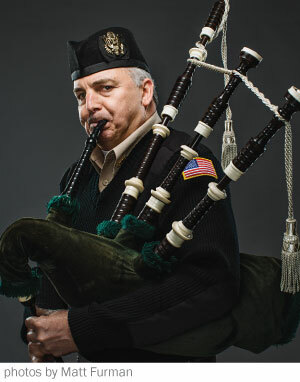 The bagpipes typically used in parades are Highland, or Scottish bagpipes, not Irish (see sidebar). Additionally, an Irish kilt traditionally has one solid color, not tartan like a Scottish one. Long Ireland’s kilt is a blend of cultures, Marinace said, and is called “American Heritage” because it’s red, white and blue. The bagpipes traditionally used by pipe bands are actually not Irish bagpipes. They are Highland, or Scottish bagpipes, which are bigger and louder. Uilleann pipes (it means “elbow” in Irish) are smaller and players use their elbows to inflate the bag, not their breath. This long dagger is worn on the belt and was historically a part of military dress. Traditionally, Irish kilts are a solid color, not tartan patterns like Scottish ones. The New York Police Department Emerald Society wears a solid black kilt as they march down 5th Avenue. This is the small knife that pipers and drummers wear in their right sock. The name means “hidden knife” in Celtic and it was used for eating or small tasks. Historically, it was the only piece of weaponry that soldiers were allowed to have on them when meeting with another clan. This codpiece was traditionally made of thick horsehair and was used as groin protection in battle. These days most bands sport streamlined dress sporran in parades. West Babylon’s James Norton had no idea that Irish (Gaelic) was a language growing up. After all, the only Irish words he knew were Éirinn go Brách, which he called “a few weird words on a little flag.” By the time he turned 18 and was a student at Queens College, not much had changed; he learned that Irish existed but his professor told him the only people who spoke it were a few farmers and their cows. Almost two decades later Norton met Will McConnell, a native of Northern Ireland, who told him about Míle Fáilte, a radio show on Fordham University’s WFUV and Macallaí, a column that Barra Ó Donnabháin used to write in The Irish Echo. Itching to find others who knew that the language was alive and well, Norton—whose Irish name is Séamas Ó Neachtain— began taking classes at Babylon’s Gerry Tobin Irish Language School in 1997. 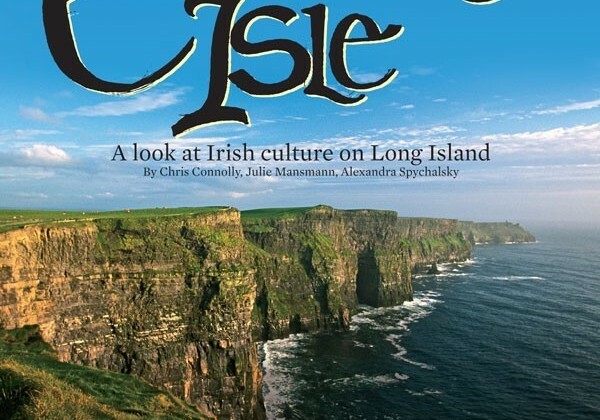 Long Island Pulse: Why did learning Irish become important to you? James Norton: Irish is fascinating because it is different from English and from most other languages in certain ways. It has its own rules, which you get addicted to after a while. I think our brains are wired to think the way our ancestors thought, in their languages, and that we can tap into that—get back some of their different ways of putting things together. 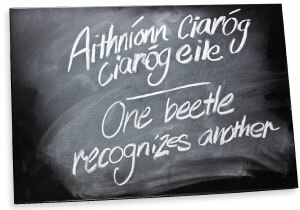 Pulse: How has learning the language enriched your knowledge of Irish culture? JN: I knew very little about Irish history or culture before I got into the language. 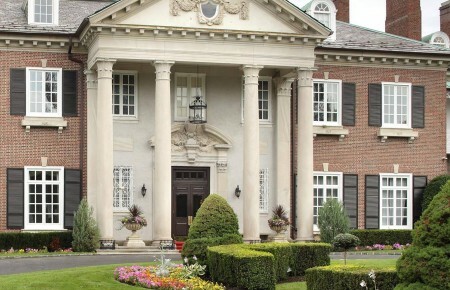 Through our school, and through the Ancient Order of Hibernians (I am a member and write a column for their newspaper), I have learned a lot that I never would have otherwise. And I know that many of my friends have had the same experience. To really understand the history or the culture, you are very handicapped without the language. I have read firsthand accounts of the Great Hunger in Irish, for instance. That’s very different from how most people learn about it. Pulse: How do you incorporate cultural studies into your language classes? JN: In our introductory classes we give a lot of background on the current language situation. We talk about the long history of literature and learning behind the language, and about the old myths and stories. Later we may read historical works in Irish, or have a workshop that focuses on a particular theme. One of the workshops focused on researching Irish slavery in the Americas. Pulse: What would you say to convince someone to take a class? JN: I think it is important to realize how central the language is to every aspect of Irish culture and history. Also that it is just a really cool language with a spectacular history. We have had a number of people learn who are not Irish at all, but just like languages. Though very much alive, Irish is an endangered language and we like to encourage anyone we can to take up the cause of keeping it going. It’s only people like us that can make this happen. Whether you’re looking for something in your backyard or around the globe, here are some of the most-renowned St. Patrick’s Day parades on our Island, in our state and an ocean away. Known as “the parade that cares and shares,” every year parade organizers donate to three charities. In 17 years, $788,000 has been distributed to 52 individual charities. This year, parade is on Saturday, March 22, and the charities are New Ground, The Angelman Syndrome Foundation, and the Nassau County AOH Feis Committee. Creative and topical floats that poke fun at the Bernie Madoff scandal or the Carnival Cruise ship debacle make the St. Patrick’s Day parade at “the end” stand out among Long Island’s parades. 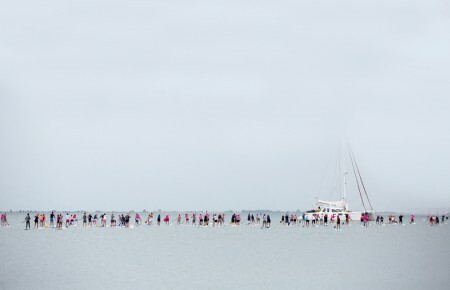 And on the morning of the parade, on Sunday, March 23, the Montauk Chamber of Commerce serves clam chowder from local restaurants to the crowd. Long Island’s oldest and largest St. Patrick’s Day parade, on Sunday, March 9, is in its 80th year, and guarantees not to disappoint. Organized by the Huntington Ancient Order of Hibernians, the parade will feature 25 pipe bands from around the island, and often draws crowds of 50,000 for the town’s unofficial start of spring. On Sunday, March 16, the traditional green line will once again be painted down the middle of Montauk Highway to kick off the annual St. Patrick’s Day parade. About 25,000 people turn out each year to watch all of the pipe bands play, and get their hands on all of the Irish food that’s available. The NYC parade is the largest in the world, with about 150,000 people marching each year and about 2 million people on the sidelines. The parade route travels a mile and a half along Fifth Avenue and typically takes five hours. Syracuse’s celebration starts at midnight, when a shamrock is painted in the street under the famous “green-over-red” traffic light in the Tipperary Hill section of the city. The light was installed at the behest of angry Irish immigrants who didn’t want to see England’s color, red, above the green on the light. Buffalo hosts two consecutive St. Patrick’s Day parade. On the Saturday nearest the holiday, the Old Neighborhood Parade kicks off in South Buffalo. The next day, the traditional parade takes place, the third-largest in the state. Though not affiliated with the city’s official parade, SUNY Albany students turn the state capitol upside down on St. Patrick’s Day with their annual “Kegs and Eggs” event, which gained widespread attention when it turned into a drunken riot in 2011, leading to property damage and arrests. The oldest St. Patrick’s Day parade in the U.S. — started in 1737 — marches through South Boston, or “Southie,” a predominantly Irish-Catholic community. The parade faces controversy, however, with its protocol of denying the application of LGBT groups to march. Parade organizers say that they allow gay marchers, but not gay demonstrations. The city hosts an all-day music festival called National ShamrockFest, with more than 30 bands, seven stages and tens of thousands of fans. The festival features Irish rock bands, like this year’s headliner, Dropkick Murphy’s, as well as alternative and indie bands and DJs. During the city’s downtown parade, thousands of people turn out to watch the Chicago River be dyed green. The South Side neighborhood hosts a more traditional celebration geared specifically toward Irish-Americans. Various neighborhoods throw St. Patrick’s Day parades throughout March, but the best is the parade in the Irish Channel. It has a sort of Mardi Gras feel, with green beads, but it is also famous for people throwing onions, carrots, cabbages, potatoes — ingredients for Irish stew. Dublin’s St. Patrick Festival last four days and is a celebration of Irish culture, music and entertainment. It has “funfairs” with carnival attractions, a craft beer village, a 5K road race and the traditional “Greening of the City,” where Dublin’s most famous buildings, like Dublin Castle, Christchurch Cathedral and Trinity College, are illuminated by green lights. London’s St. Patrick’s Day parade features representatives from all 32 Irish counties, dressed in traditional colors. The festival in Tralfalgar Square is the heart of the celebration, with Irish music, dancing and movies. The London Eye is often lit up green for the day as well. Asia’s largest St. Patrick’s Day parade celebrates its 22nd year this March. Many who march in the parade wear garish costumes, but what would you expect when the parade runs through the Harajuku district. The Argentinian Capital is home to the fifth-largest Irish population in the world, at 500,000. The largest St. Patrick’s Day Parade in South America is followed by live music by Irish rock bands, and dance performances.